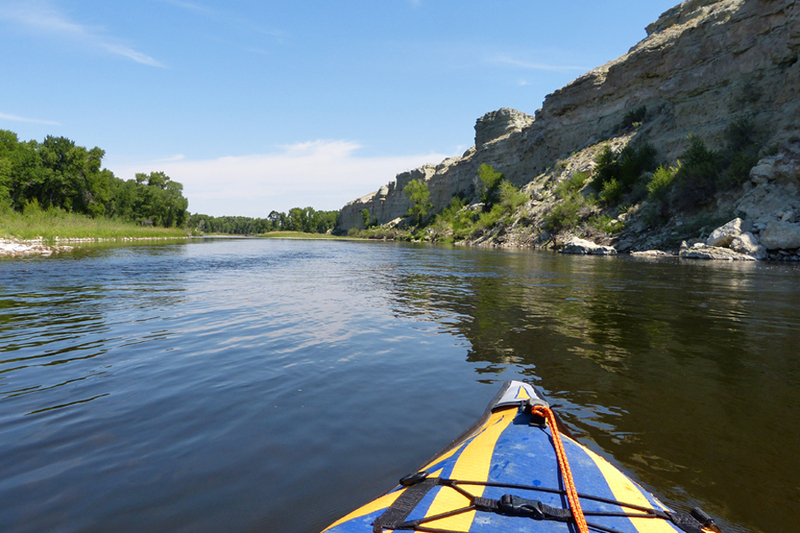 Today I kayaked alone the six miles of the North Platte River from Saratoga WY to our campsite on BLM land along the shore. Saw deer, mink(! ), cattle, pelican, mallard mom with ducklings, mergansers, geese and fishermen. So peaceful…I will use the image as my week unfolds toward my daughters wedding. There is a sense of quiet and being guided along in changing beauty. Thank you! Congrats on your daughter’s wedding! I hope it went well. Weddings are such a mix of joy and stress! And being the mother of the bride can be especially demanding. Your description of “quiet and being guided along in changing beauty” is a perfect portrait of my kayak ride and, for the most part, my journey on the road this year. Sometimes the beauty is so brilliant and vivid its hard to absorb, sometimes its kind of heartbreaking in its ephemeralness and fragility. BTW, we have decided to skip the Northwest this trip. So maybe we can visit on another trip. It would be wonderful to see you after all these years and to catch up on our lives as adults.